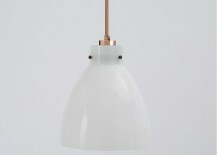 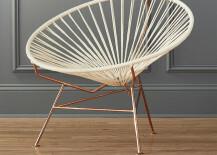 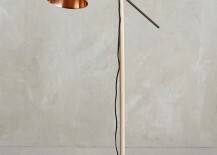 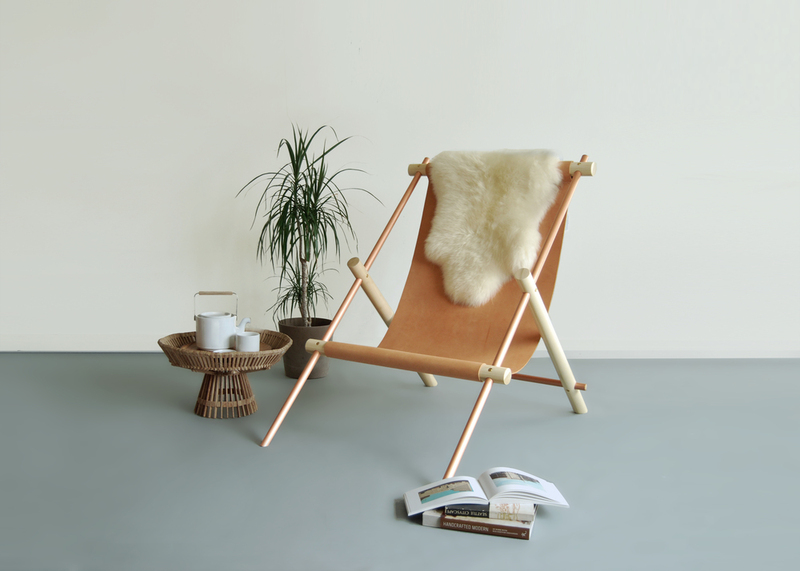 Copper can also be found in the frame of the Sayulita White Chair from CB2. 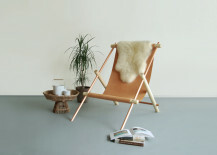 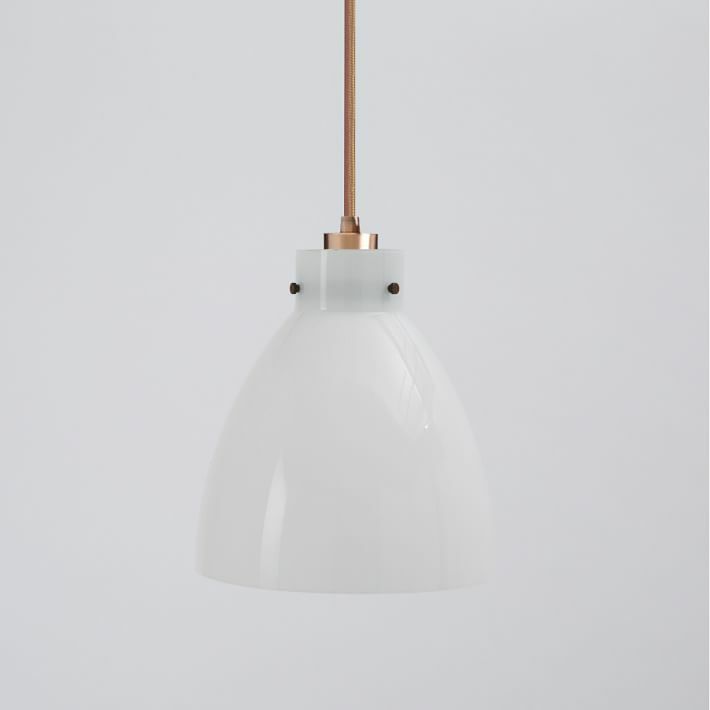 The contrast between the white cotton cord seat and the copper powdercoated steel frame is striking. 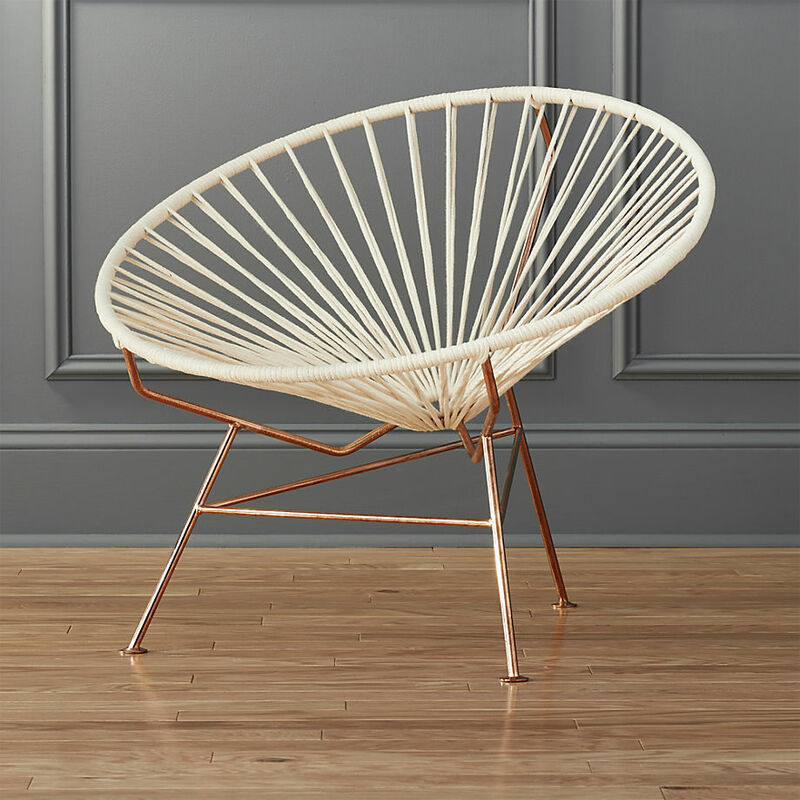 This chair handmade by artisans in Guadalajara, Mexico is a true showpiece! 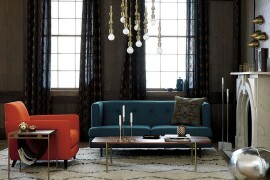 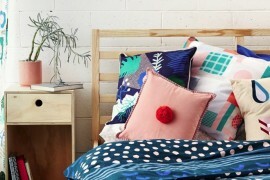 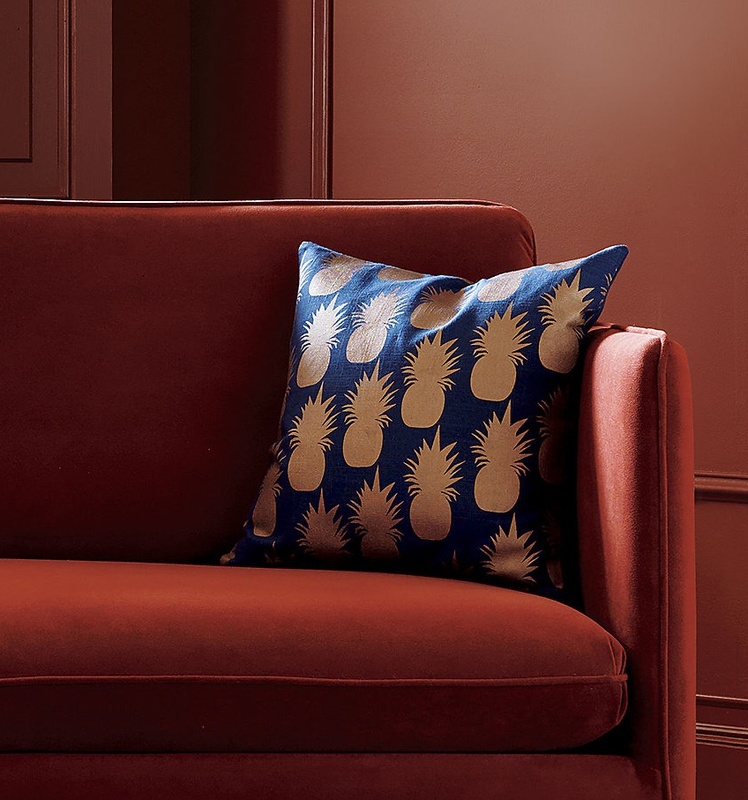 Copper is finding its way into textiles, especially when it comes to pillows. 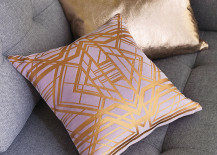 Art Deco flair is alive and well in the Lilith 16″ Pillow with Down Alternative Insert from CB2. 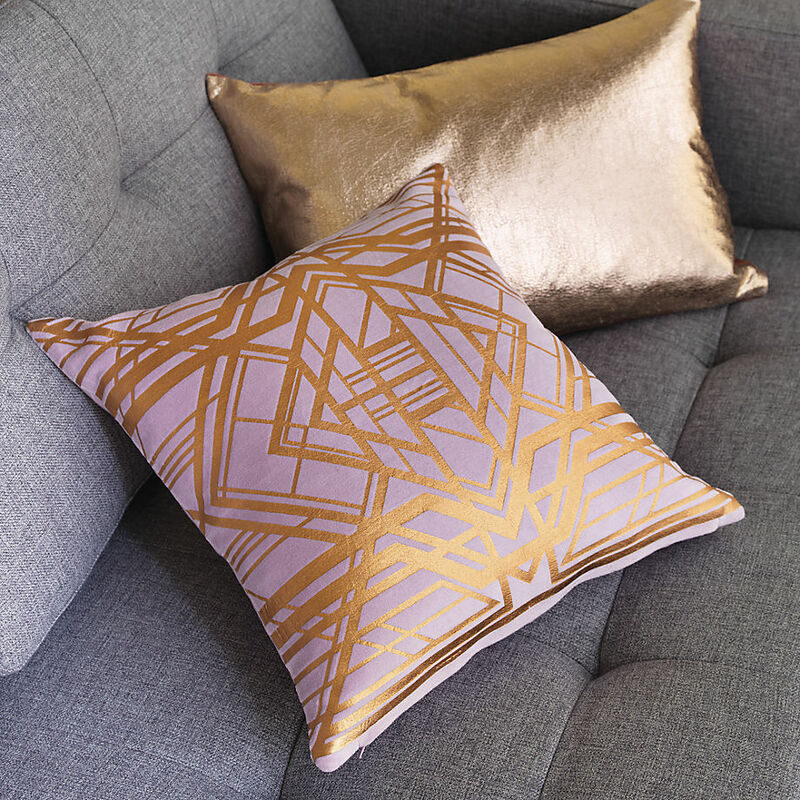 Thanks to copper foil on velvety pink fabric, a geometric design makes a strong statement. 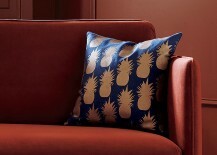 One of our absolute favorites from this past fall, the Escape Pineapples 18″ Pillow with Down-Alternative Insert from CB2 is the work of a collaboration with Brooklyn-based designer Aelfie Oudghiri. 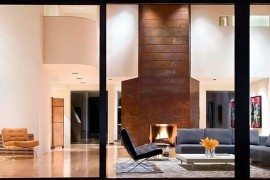 Note how the entire room below has a warm copper glow! 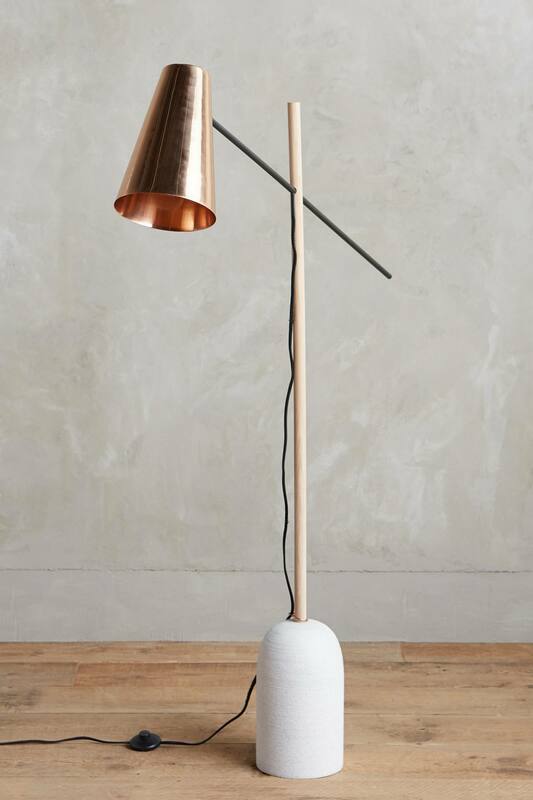 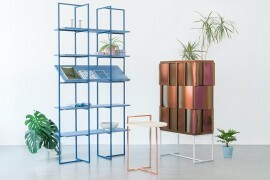 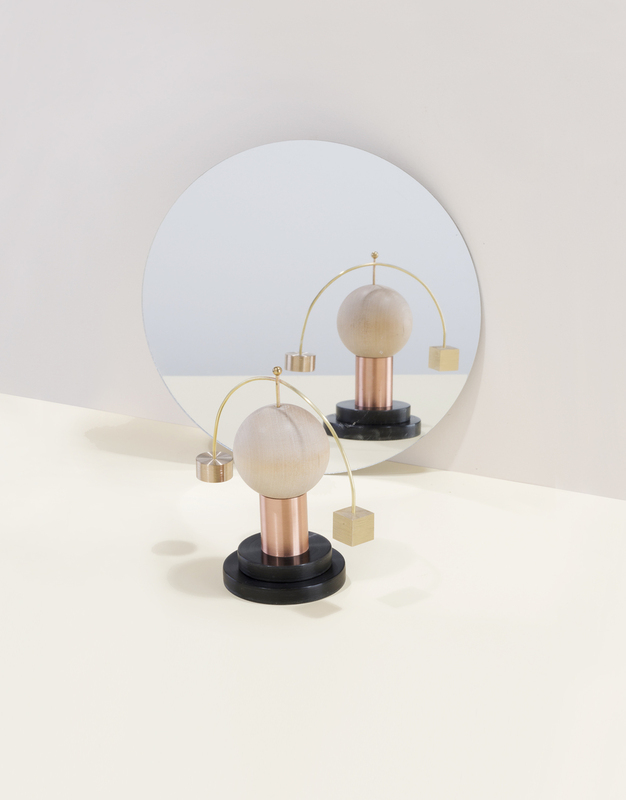 Balance Studies 101 from Ladies & Gentlemen Studio is an objet d’art that combines materials such as copper, brass and wood. 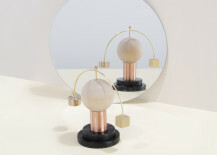 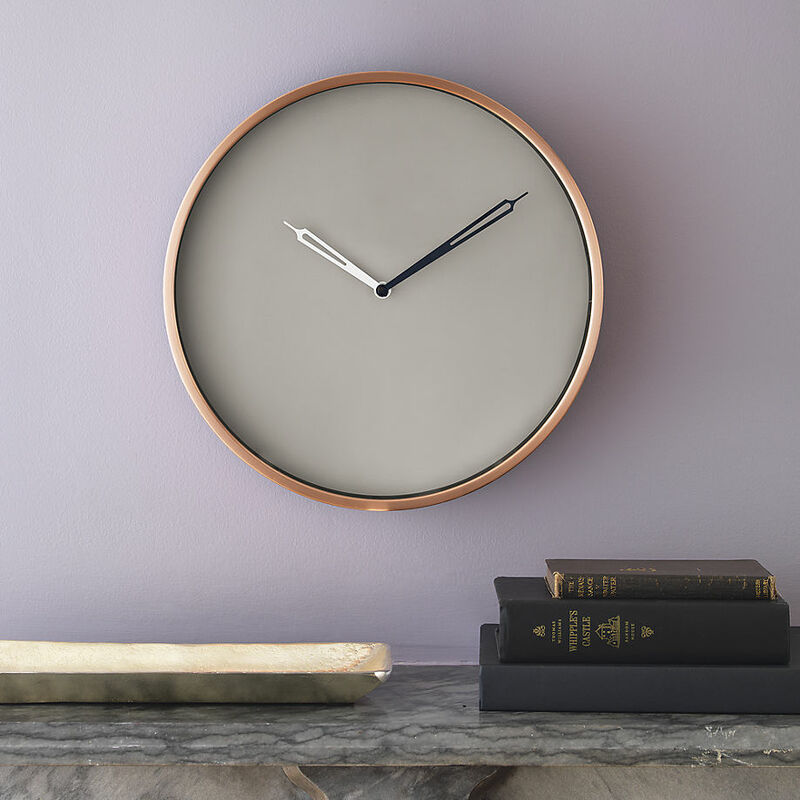 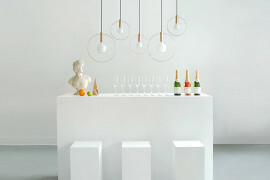 With a gentle twist, the metal frame will spin around the sphere in a celebration of movement. 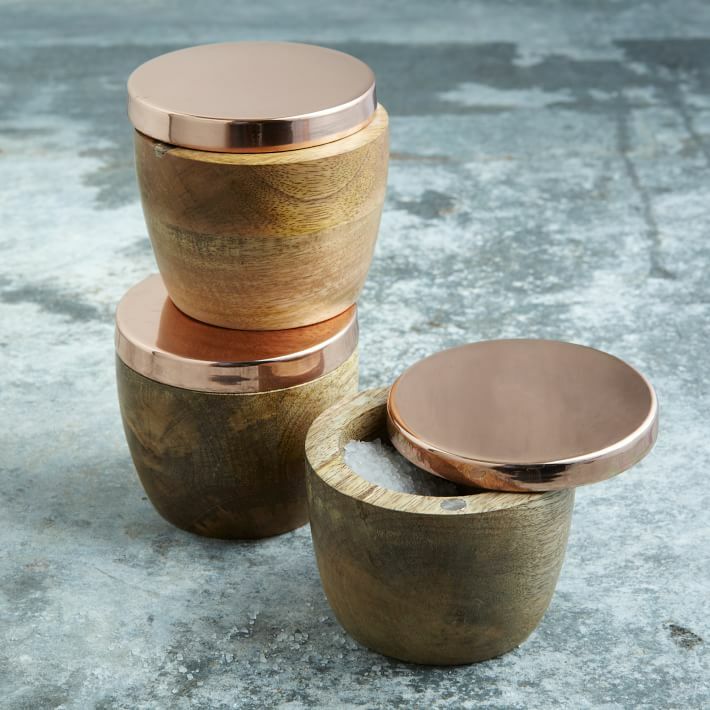 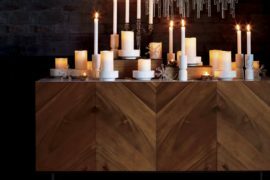 Mixed materials are modern and warm-toned in these Wood & Copper Salt Cellars from West Elm, which feature mango wood bases and copper-plated lids. 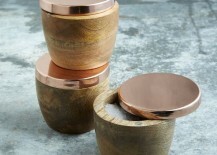 Store your salt crystals in style! 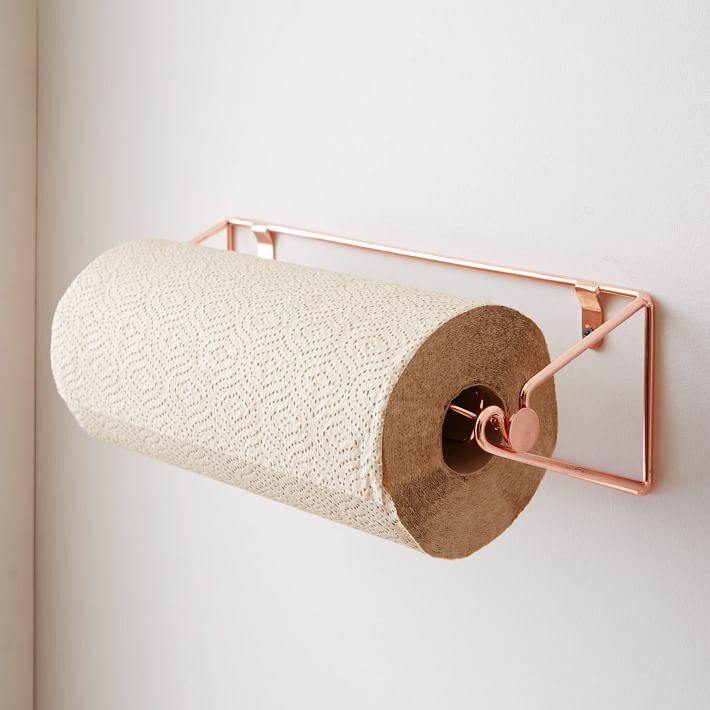 Geometric and modern, the Wire Kitchen Paper Towel Rack from West Elm is the perfect kitchen accessory, thanks to copper-finished steel. 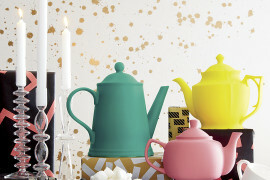 Gone are the days when kitchen design remained firmly in matchy-matchy territory. 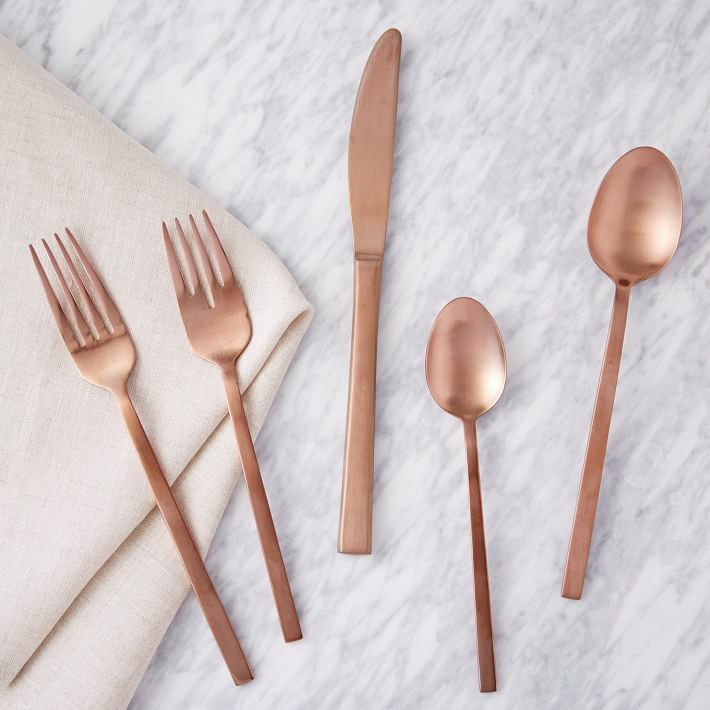 Now warm-toned metals such as copper and brass are happily paired with stainless steel! 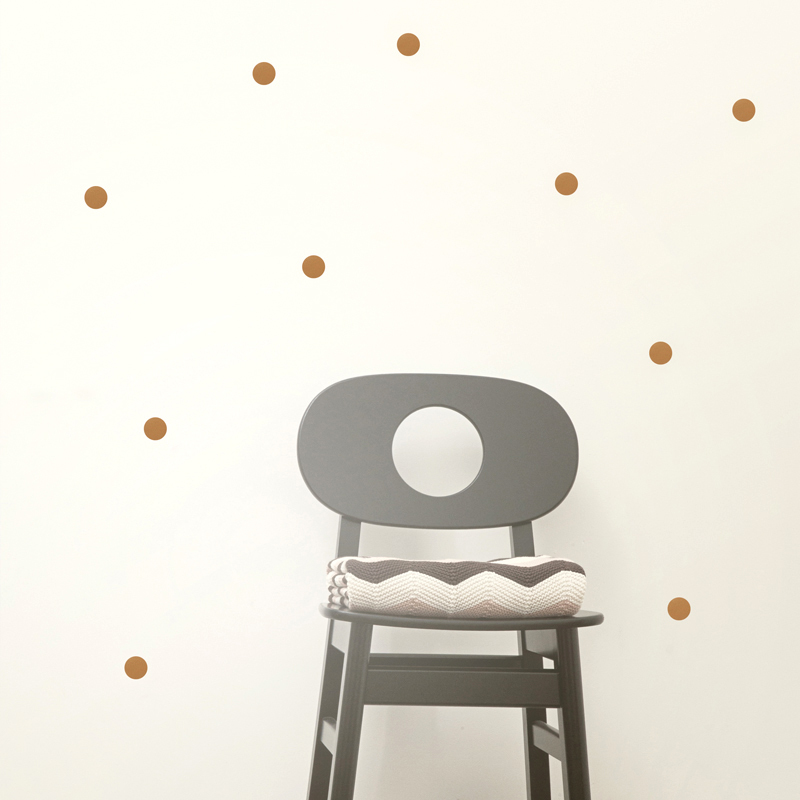 Last but not least, bring a hint of copper to the walls with these Mini Dots Wallstickers in copper from ferm LIVING. 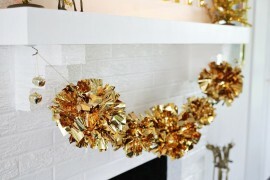 Made from vinyl, these adhesive statements make it easy to add interest without making a permanent change. 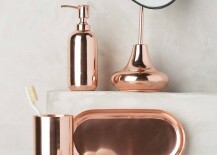 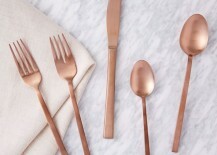 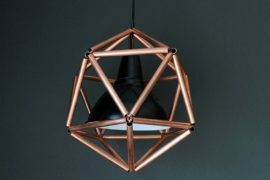 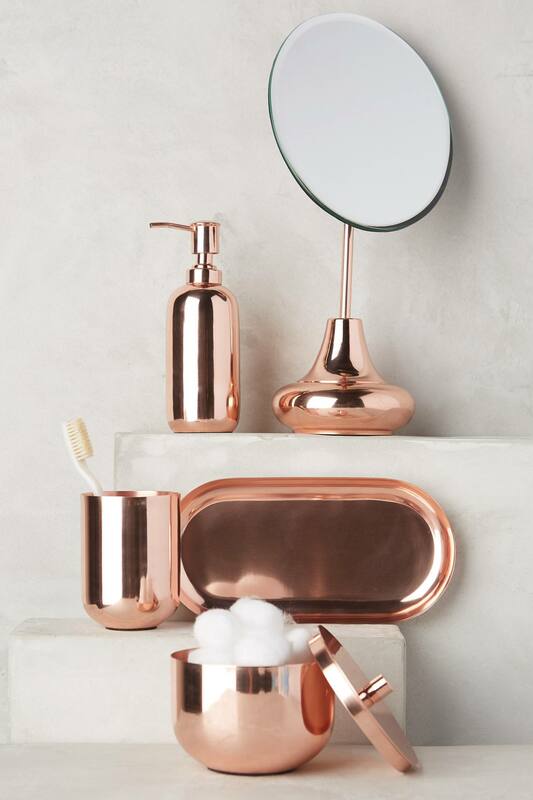 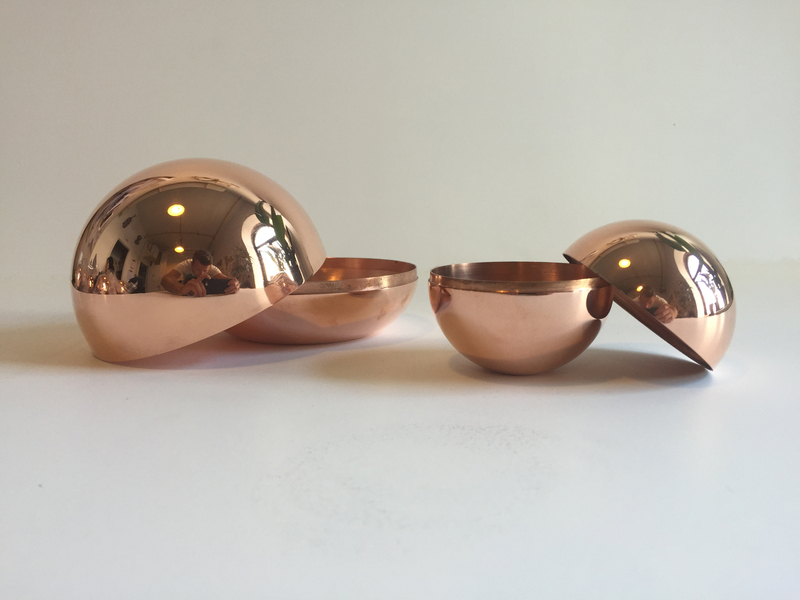 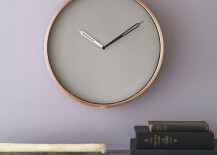 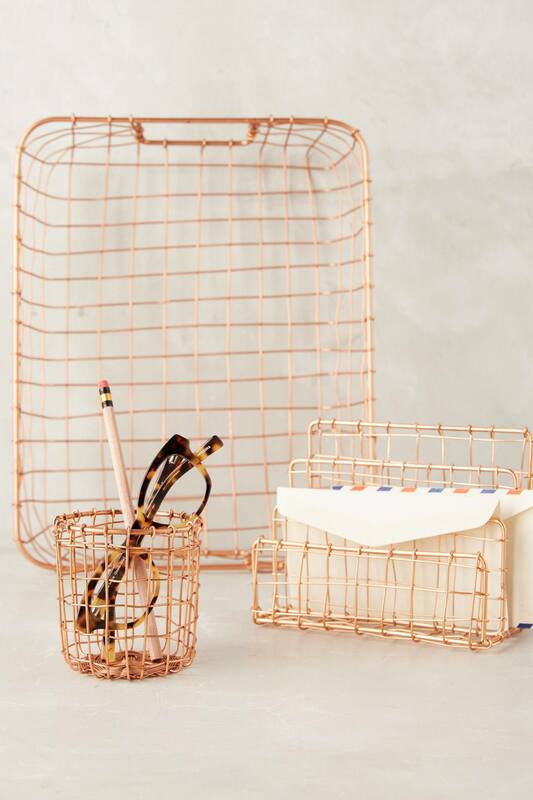 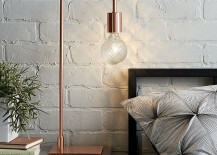 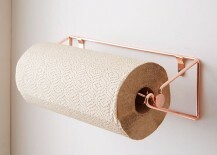 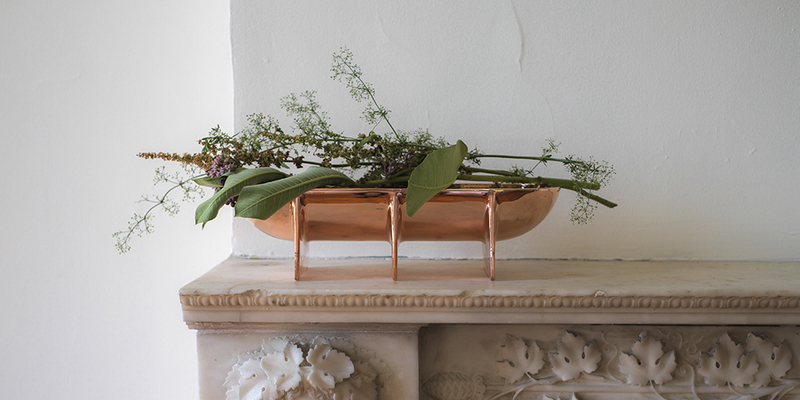 What do you think of the current copper trend? 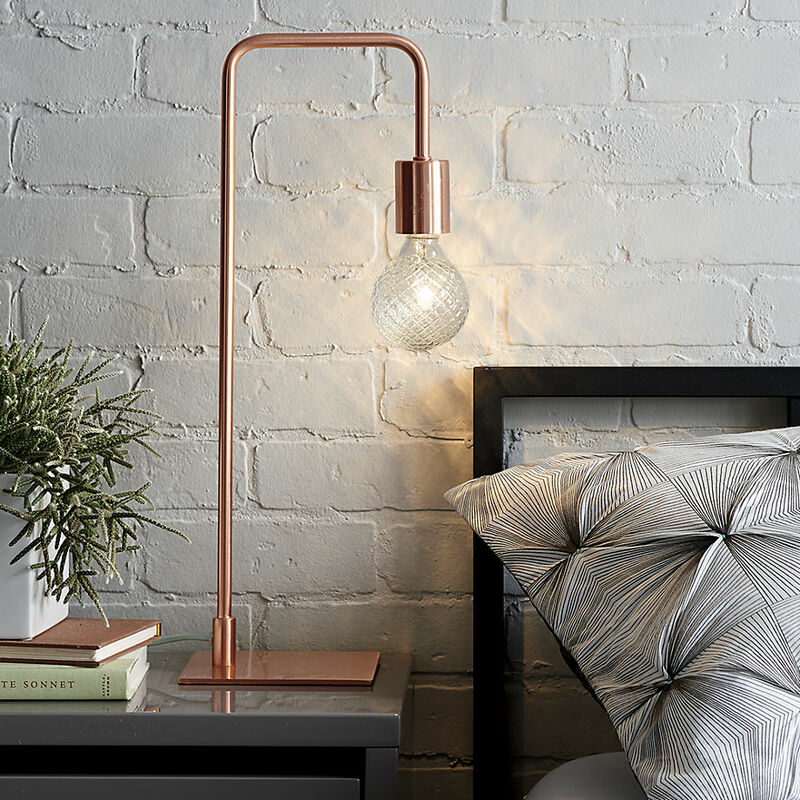 Will you be adding a rosy glow to your interior in 2016?